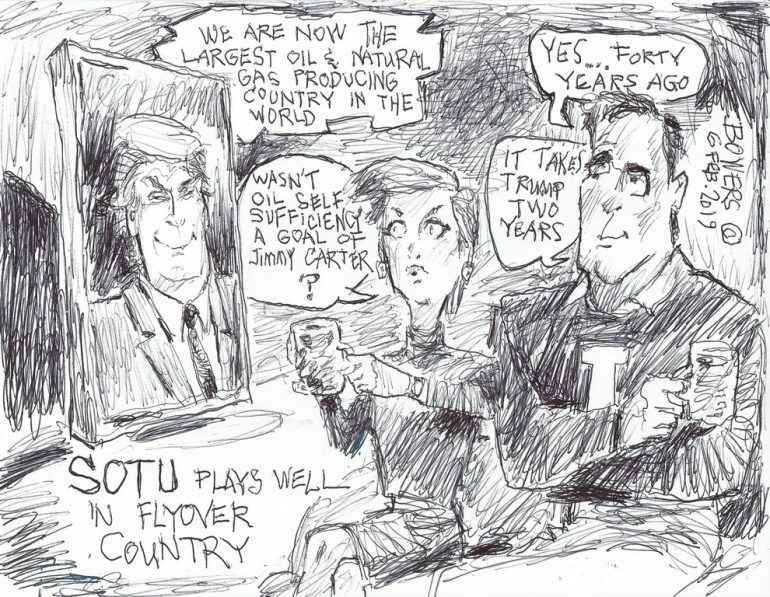 SOTU | What Did You Say? What’s the difference between promises made by Presidents THEN, and promises made today? It’s a big one! I am not alone in that assessment. Snap polls from CBS and CNN — not Fox — found that 76% of Americans approved of the president’s address. There were many revealing moments last night. But I will mention just a few here now because there is a raging battle to control the narrative and to convince the American people that they shouldn’t like what they heard last night. President Trump outlined a powerful message of accomplishments, which will undoubtedly be the core message of the 2020 campaign. But the reaction of the “loyal opposition” to these achievements exposed the progressive left as a movement that is increasingly socialist. Did you notice the contrast when the president was accurately describing the success of his economic program, including record low minority unemployment? Few Democrats applauded. The new members of Congress who are proud “Democratic socialists” and the old members who try to hide it, sat on their hands. The conservative side of the chamber erupted in applause, expressing their appreciation for the president’s promise that we will not go the way of Europe under his watch. “No issue better illustrates the divide between America’s working class and America’s political class than illegal immigration. Wealthy politicians and donors push for open borders while living their lives behind walls and gates and guards. The left is terrified that if Trump continues to nail them like this, he will once again carry Michigan, Ohio, Pennsylvania and Wisconsin. By the way, the CBS poll also found that 72% of last night’s State of the Union viewers approved of President Trump’s position on illegal immigration and border security. “There could be no greater contrast to the beautiful image of a mother holding her infant child than the chilling displays our nation saw in recent days. Lawmakers in New York cheered with delight upon the passage of legislation that would allow a baby to be ripped from the mother’s womb moments before birth. “These are living, feeling, beautiful babies who will never get the chance to share their love and dreams with the world. And then, we had the case of the governor of Virginia where he basically stated he would execute a baby after birth. This is an issue that unites us. The American people overwhelmingly oppose late-term abortions. Yet the vast majority of so-called “progressives” in the House chamber sat on their hands, seething at the president’s call to protect innocent babies. By the way, Nancy Pelosi’s guest at the State of the Union address was Leana Wen, the new president of Planned Parenthood. There were many rousing patriotic moments during President Trump’s remarks last night. He honored the 75th anniversary of America’s liberation of Nazi-occupied Europe. He honored the 50th anniversary of Buzz Aldrin’s landing on the moon. “They did not know if they would survive the hour. . . But they knew that America had to prevail. Their cause was this nation, and generations yet unborn. I know many conservatives believe that the reason the left is so committed to “resistance” is because it just can’t stand Donald Trump. They think that any other Republican could get even more done. That is just not true. As I have pointed out many times before, the left’s radicalism is nothing new. If Marco Rubio or Mitt Romney were standing before Congress promising to build a border wall, they would get the same irrational reaction and be called the same disgusting names. My friends, America is not divided because of Donald Trump. Donald Trump was elected because America is so divided, because the left is seeking to “fundamentally transform” our country. Cabot Phillips from Campus Reform spoke to several students outside John Jay College in New York and asked them to comment on some of the statements from the SOTU speech. What Phillips didn’t tell them is that the statements actually quoted Obama. This is what ‘Trump Derangement Syndrome’ looks like in action. And then, when some of them realized what had happened, they backpedaled. My favorite is the girl with the fur-trimmed hood and red scarf that went from ‘we need to mind our own business because there are other countries with automatic and nuclear weapons‘ to, ‘some people are quick to judge Donald Trump just because of a few things he says, but I think if they paid attention to his whole Presidency they’d have a better perspective on him‘. But that’s not her, right — it’s ‘some’ people? And then there’s the guy at the end that is reasonable. President Trump managed to get through to the American people that were really listening to him when he delivered the State of the Union Address. And despite the character assassination that has been ongoing for almost two years by the Media (D), his numbers are getting a bump. Could it be because he’s not the boogeyman that they portray him to be? Could it be because he is implementing good policies that are benefiting Americans? Could it be because the Democrats doubled-down on identity politics and refused to stand for things that they say that they champion? 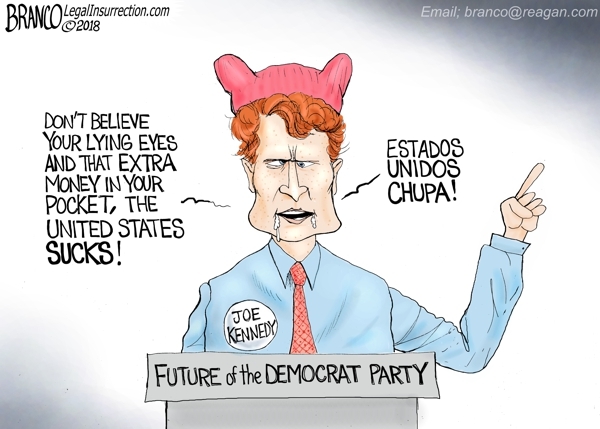 Could it be because Democrats have learned absolutely nothing after the last election and shoved privileged, trust-funded ‘Kennedy Dynasty’ Rep. Joe Kennedy III to deliver the counter to the President’s SOTU speech? It looks like Americans ain’t having it. It looks like the antidote to ‘Trump Derangement Syndrome’ is a healthy dose of #MAGA. The Left has been crying and whining since the election. They called good Americans “Deplorables.” They staged a sit in to protest gun violence, and simply looked like a bunch of petulant children in dire need of a whoopin’. Many of the Dems boycotted the inauguration in January 2017. The Democrats that actually attended sat there grimacing and pouting, once again looking like petulant, spoiled brats. The Congressional Black Caucus attempted to “resist” by wearing “kente cloth” in protest to Trump’s s-hole countries comment. 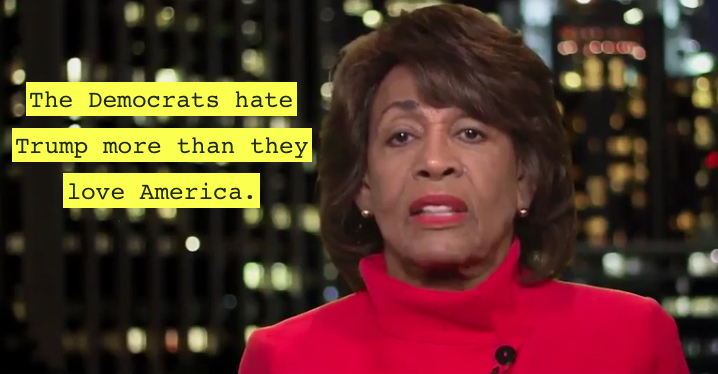 For the most part, the Dems sat on their hands rather than applaud the low African American unemployment, low Hispanic unemployment, and high rate of economic growth in America. Rich and very white, Joe Kennedy gives an anti-American response to Trumps very pro-American State of the Union.